Info By selling RiTEK made CD-R's TDK has seriously damaged their credibility of selling quality CD-R media, as stores don't know the difference between these CD-R's and just sell them for one price. Usually this price is higher than the regular RiTEK made CD-R's. So check the package before buying TDK CD-R's! Incident 000xxx-xxxx has been closed for 14 hour(s). Incidents closed for 1 hour(s) or more may not be reopened. 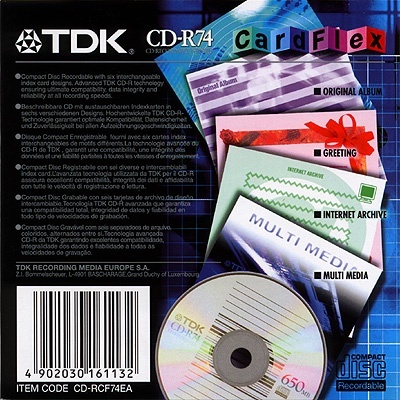 Does TDK sell CDs manufactured by Ritek Co.? Two weeks ago I purchased 4 10-packs (in jewel cases) of TDK CD-R74 "Certified-Plus" CDs from "The Real Canadian Superstore" in Thunder Bay, Ontario, Canada. 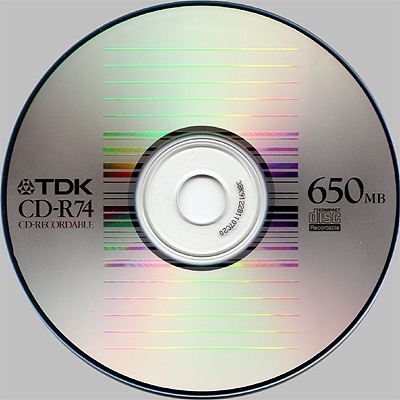 I am a resident of Vancouver, BC, Canada and I normally purchase TDK CD-R74 discs from "The Real Canadian Superstore" in Vancouver. The price was the same (to the penny) at both location. It has been several months since I last recorded onto TDK CDs since the Superstore in Vancouver had difficulties keeping then in-stock. One item there sprung out at me. Ritek. I can buy Ritek CDRs for CAD$1.19 in Vancouver. I buy them if I'm making my self music CD compilations that I'm going to throw out at the end of the month. I have never used Ritek CDs for data that I'm archiving since the dye layer of Ritek discs often (always, in my experience) contains visible inconsistencies (these Ritek-manufactured TDK discs are ne exception). 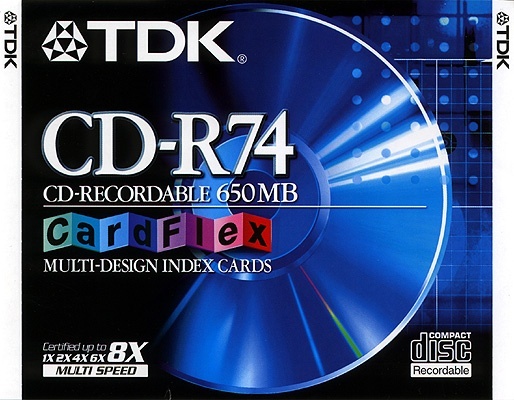 When we were at the Superstore, I convinced a friend of mine to buy TDK CD-R74 discs instead of the cheaper Memorex discs because I believed the TDK discs to be higher-quality than the Memorex discs, which I know are manufactured by Ritek. One of my friends' fathers, whose company manufactures jewel cases for TDK and other companies in Vancouver told me in December that there were illegitimate TDK CDRs on the market. My question is this: did TDK rebrand and distribute these Ritek discs, or does TDK Corp. manufacture and distribute only its own discs? If these rebranded discs were distributed by TDK, do they meet ALL the same standards that other TDK CDR discs do? (metal-stabilized cyanine, 100-year archival lifetime, high durability, high reliability, etc) If not, what is my remedy for the discs that I've already used? Each jewel case (not cello wrapped) states compatibility to 6x, certified plus, item code CD-R74, and barcode 0 20356 47020 3. Each 10-pack came cello-wrapped (not in a box, as I've previously bought them), and the only marking on the cello (a sticker) read "CD-R74S10*N-A" and had barcode 0 20356 47697 7. One of the discs has his sequence printed on the inner ring: 52K909176036B15. Another disc (from a different 10-pack) has this number: "49K909209676A00". Normally we manufacture and distribute the discs that are made here in the USA by our plant in GA. However, some of the TDK CDR-74 Discs are made under strict manufacturing restrictions by RITEK for TDK in the USA. These discs are made to the same high standard as TDK US made CDR's. The RITEK discs do not have the " Certified Plus" label on them, these discs are compatible with all drives up to 8x speed. The discs with the "Certified Plus" label are made here in the USA at our GA plant and are compatible with all drives up to 12x record speed. If you are concerned about the authenticity of the discs that you bought please send one to the following address and we will investigate this for you. Port Washington, NY 11050, USA.